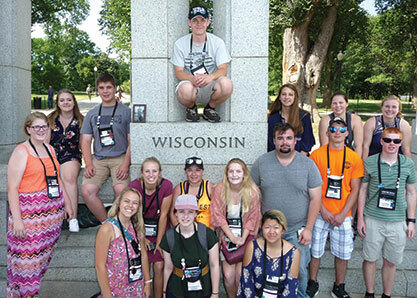 Wisconsin delegates to the 2017 National Rural Electric Cooperative Association Youth Tour cluster by their state’s pillar at the World War II Memorial on Washington, D.C.’s National Mall. This year’s June 9–15 event drew more than 1,800 teens from across the country to the nation’s capital and featured a week-long schedule of cooperative workshops, meetings on Capitol Hill, and touring national memorials and historic sites. The 16 students from Wisconsin were sponsored by 10 of the state’s electric co-ops and marked a record number to participate in the annual conference. Electricity providers would gain freedom to bypass red tape when it impedes clearing vegetation that presents a wildfire hazard on federal lands, under legislation approved 300-118 by the House of Representatives in June. The bill also creates liability protection for power providers whose efforts to clear fire hazards are stalled by federal agencies. 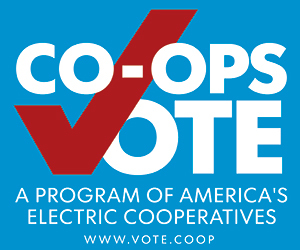 In visits to congressional offices this spring, co-op leaders from Wisconsin and other states raised the issue of months-long delays in obtaining permits for line maintenance work on federal land. In 2003, deficient vegetation management by an Ohio utility—not on federal land—was identified as the cause of a blackout affecting eight states and part of Canada and running up billions of dollars in economic losses. Mississippi Power and its parent Southern Company at the end of June halted lignite gasification activities at their Kemper County plant. 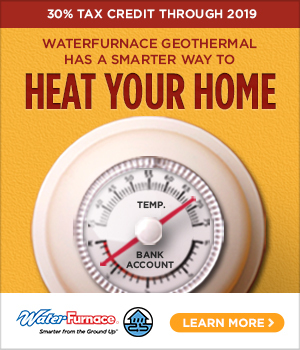 However, they continue producing electricity from natural gas pending a decision from the Mississippi Public Service Commission on recovery of the facility’s multi-billion-dollar cost overruns. capture aspect of the project. In its 2014 issuance of performance standards capping carbon dioxide emissions from new power plants, the Environmental Protection Agency claimed the Kemper plant proved carbon capture had met a Clean Air Act requirement that prescribed control technologies be “adequately demonstrated.” But the Kemper facility, with a cost estimate of $2.8 billion and an actual price exceeding $7 billion, has generated power from natural gas since 2014 and never achieved sustained, commercial operation using lignite-based synthetic gas as fuel. With U.S. nuclear power plants retiring early for financial reasons, worldwide nuclear plant construction in 2016 reached its highest level in 25 years, according to the London-based World Nuclear Association. At the end of last year 448 reactors were operational worldwide, a net increase of seven compared with the beginning of the year, the association said. Dozens more are on the way, with 61 new reactors under construction, the report said. Four of those are in the United States, where six plants have been retired in the past seven years, according to the report. A campaign that began roughly a year ago to revive retail electric restructuring in Wisconsin appears to have been finally put aside. Major industrial electricity users hoping to acquire bargaining power with their incumbent utilities received a chilly response from the legislature and Public Service Commission (PSC) last summer and early this year. The PSC indicated it preferred creative ratemaking to help manufacturers control energy costs, rather than to revisit the deregulation experiment Wisconsin abandoned almost two decades ago. In June, the PSC approved an experimental pilot program called the “Day-Ahead Market Pricing Rider,” allowing Wisconsin Power and Light to offer industrial customers opportunities to shift load in response to power market signals. The Wisconsin Paper Council and Wisconsin Industrial Energy Group (WIEG) greeted the tariff approval with enthusiasm, saying they “applaud” the PSC action. Todd Stuart, WIEG executive director, said his members “appreciate WP&L’s efforts to move quickly on innovative real-time pricing options that provide manufacturers with additional rate choices and an ability to have more control in managing their costs”—the core issue in last year’s effort to try again on restructuring.